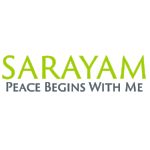 The concept of God is making its first appearance in Sarayam: Peace Begins With Me. I, the Regina personality, have traveled from Half-Assed Deism, to Agnosticism to Atheism to Angry Atheism to Non-Dualism to The Label is Unimportant-ism. (This is where I might float for a while.) If you are looking for suggestions, you could try using Love, Divinity, the All That Is, etc. In the non-dualistic or monistic systems, the idea of Divinity doesn’t distribute love to one person more than another, or to one nation more than another, or to one creed more than another. Divinity just IS, because it is All That Is. There is no out there, out there, it is all in me. Donald Trump is an aspect of me. Steve Bannon is an aspect of me. Morrnah Nalamaku Simeona is an aspect of me. Gururaj Ananda Yogi is an aspect of me. They are all in me. Wow. For weeks I have been meditating intensely with these thoughts—specifically with the discomfort and rage they provoked. I am now able to see more and more of the fractured Self that gives rise to my experiences of national divisiveness, and indeed, wreckage. The resistance that I spoke of in an earlier post has given way painful acquiescence. In Joseph Conrad’s “Heart of Darkness,” Kurtz recognizes his own culpability in the devastation of imperialism and famously cries, “the horror, the horror!” Similarly, I recognized the damage in my own Soul, and I am re-committing to self-introspection, meditation, and SITH®. It can be done, and it will be done.